The Margaret Mitchell House & Museum should be in the "must-see" category for Atlanta tourists, but I believe there should be substantially "more-to-see" before it receives that status. I personally expected and hoped for more. I indeed am glad I saw "the birthplace of Gone With the Wind," but the remainder of the museum space and exhibits barely constitute a breeze. I certainly was appreciative for the free parking, directly behind the house. Or at least I thought it was the back of the house. The visitor entrance to the house is not well marked, but I assumed it was near the parking lot. I fortunately found it without walking around to the Peachtree Street side of the house just to be told to go to the back. As I learned later, the house was originally built to face Peachtree Street. Years later it was moved 10 feet back and placed on a basement foundation, which became the first floor and the front of the house. The building received a Crescent Street address following the move. The entrance/ticket desks to the house and museum are located in the gift shop (which I'm finding is more common a practice than I once thought). I was promptly and kindly greeted and provided a ticket and tour start time details. I wasn't sure what to expect for the tour. I had assumed there was a self-guided option given there’s no mention of tour times on the website. Fortunately, I'd arrived at approximately 10:45 a.m. I'd originally planned to arrive at 10:00 a.m. when the house opens on Saturdays. The first tour is not until 11:00 a.m. When the tour began, we were welcomed by our tour guide, Claire. A pleasant, enthusiastic young lady, I couldn’t figure out if she'd forgot to set her alarm clock and forewent the hair dryer and makeup mirror to be on time or if she was styling the latest product from Bed Head. Either way, she knows the house and was quite entertaining. Claire gave us a brief background on the house, including the highly publicized two fires that almost destroyed the house. What she didn't tell us was that the tour would never leave the basement level. 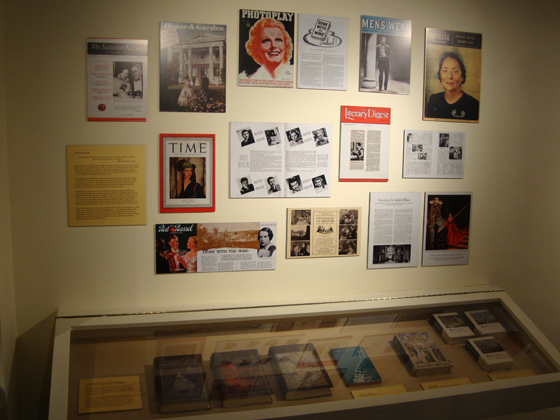 In the museum are numerous, although modest, displays that tell who Margaret Mitchell was; how the book was published; and about the philanthropic work Margaret supported later in life. The one display that grabbed my attention was the wall with magazine covers and other advertisements that covered the publishing of Gone With the Wind. This section also includes a cut sheet of other famous actresses who auditioned for the part of Scarlett O'Hara, the book’s main character. A few of the 32 actresses vying for the roll included Bette Davis, who had just finished filming Jezebel; Tallulah Bankhead; Susan Hayward and Lana Turner. 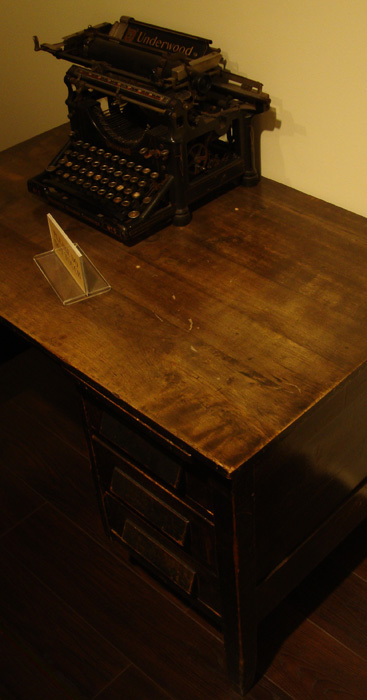 The museum also includes a few original artifacts including the actual desk that Margaret Mitchell used when she worked for the Atlanta Journal. Its legs had to be cut off to accommodate Ms. Mitchell's petite stature. She was a mere 4'11", actually two inches taller than my grandmother! A larger collection of Margaret Mitchell artifacts are in a Gone With the Wind exhibit at the Atlanta Fulton County Public Library, Central Branch, which I'll write about in the not-too-distant future. Next, we were on to the apartment where Margaret Mitchell lived while writing most of Gone With the Wind, a 10-year project. The apartment is a modest four rooms, which Margaret called "The Dump." It's on the 10th Street and Crescent Avenue corner on the basement (first floor) level. 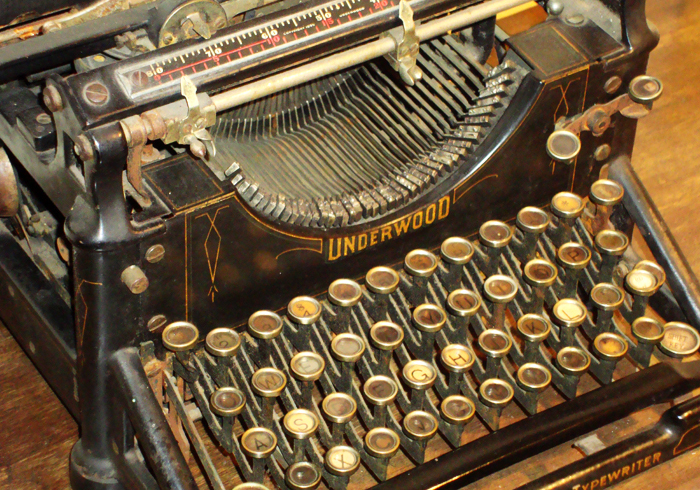 The first room we toured was the living room, which is where Margaret did her writing next to a window facing Crescent Avenue. The artifacts and furniture in the apartment are not original to when Margaret lived there, save the wooden floors, but the style of the furnishing are true to the time. The next room was the bedroom, which is modest in size. The bed Margaret slept in was more than ample for her size, but not so much for her husband John Marsh, but they made do. The Kitchen features a gas stove and the museum organizers have added a Coca-Cola bottle opener to give it a true Atlanta flare (it's presumed that Margaret had a Coca-Cola or two during her time in the house). The bathroom also is small. The tour of the apartment let us out back in the museum where we were invited to take our time further exploring. I had actually wondered during the tour of the museum why there were so many placards when we weren't given the time to read them. Turns out we would have plenty of time. As I was leaving, I asked the ticket agent if Margaret ever hosted book signings after the book and movie were released. He told me that she wasn't fond of doing them. It's said that she actually never expected Gone With the Wind to be published. I also asked about the rest of the house. 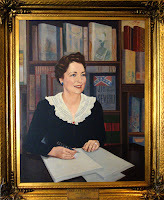 He invited me to have a look around the second floor, which he said was empty except for a portrait of Margaret Mitchell, commissioned by Trust Company Bank, which was a treat to see. 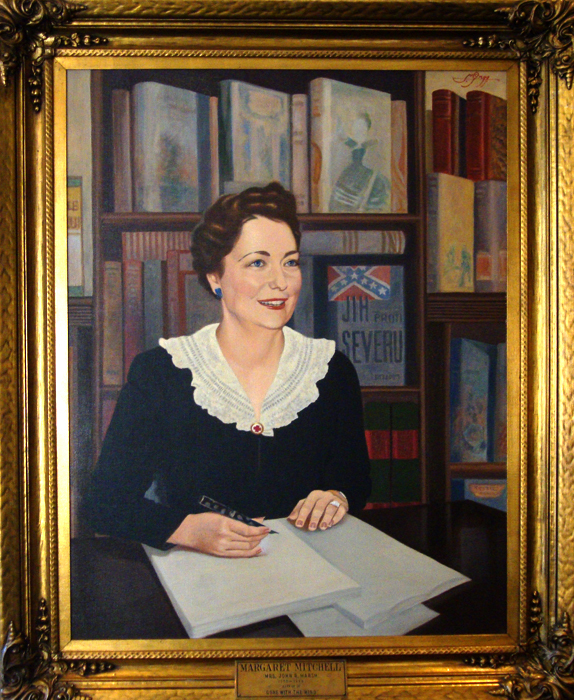 Margaret Mitchell's life was all too short. Born in 1900, she died in 1949 of injuries sustained when she was hit by a taxi cab only a few blocks from the Margaret Mitchell House. Also nearby, Clarke Gable (Rhett Butler) and Vivien Leigh (Scarlett O'Hara) stayed at the Georgian Terrace Hotel during the filming of Gone With the Wind. The movie debuted in 1939 (not at the Fox Theatre as some believe) at the Lowe's Grand Theatre, which stood where the 52-story, pink granite Georgia-Pacific Tower stands today. 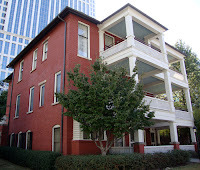 The Margaret Mitchell House is managed by the Atlanta History Center and visitors may purchase a discount dual ticket for both. Keep in mind that the ticket for the second site must be used within nine days. The Atlanta History Center is on Peachtree Road just a short five miles from the Margaret Mitchell House. Do I have a desire to see Margaret's apartment again? Well, Prissy didn't "know nothin' 'bout birthin' babies" and until the museum expands or its management "learns somethin' 'bout excitin' museum space," I think I'll wait. I do want to see the other historic houses and gardens managed by the Atlanta History Center, but the Margaret Mitchell House & Museum’s public space is modest enough that once was enough…for now. Hours: Monday-Saturday 10 a.m. – 5:30 p.m., Sunday 12 p.m. – 5:30 p.m.